What’s preventing you from providing realtime? The Technology Subcommittee asked realtime providers through the TRAIN program for their best tips in getting past the roadblocks and into the groove. How do you fight the fear of your realtime feed not being perfect? Breathe! After 32 years of reporting, I still get nervous for the first five minutes of any deposition. How in the world am I supposed to make my realtime feed readable when they are speaking at breakneck speeds (and they are often mumbling or their speech is unintelligible)? First, take a deep breath, and know everything will be okay. I promise! Once you administer the oath in a very slow-paced and methodical way, you set the stage for counsel to continue in a slow-paced and methodical way. Also, make sure you are prepared. Do your case preparation before the deposition starts. They don’t have a prior transcript? Get the Complaint. They don’t have a copy of the Complaint? Google the case name/number. There’s so much information out there these days, there’s no reason you can’t prepare (creating brief forms for tricky words you might come across). It’s amazing what you can accomplish when you put your mind to it! When asked what holds reporters back from providing realtime, the nearly universal answer is fear: Fear that your writing isn’t completely conflict-free; fear that you aren’t comfortable with the technology; fear that your translation rate isn’t good enough; fear of having someone watching your screen, let alone judging your untrans and mistrans. This feeling also applies to other areas of your life. Trying something new always causes some sort of anxiety, but if it’s something you want to do, excitement overrides that fear. Realtime is no different. Take it one step at a time, and don’t expect perfection in the first week, month, or year, but go ahead and take your first step. Start by setting up realtime for yourself and get used to seeing your writing on your screen. Slowly address your untrans and mistrans, and watch for trends in your writing that you can improve upon. Once you’re comfortable with that, set up a second screen next to you so you get used to the technology. Eventually, slide that screen in front of someone. Before you know it, realtime will become your new norm, and you will be encouraging others to get started as well. Do you remember the first time you tried to ride a bicycle? When you knew the training wheels were off or your mom or dad had let go of you, did you panic and fall to the ground? Many of us did, but we got up again, dusted ourselves off, and tried and tried again until we were sailing down the street on our own power. That’s how it is with writing realtime. Nothing that is good, challenging, or worthwhile comes easily. It takes practice. It takes perseverance. It takes endurance. It takes grit. Don’t be consumed by your fear. Embrace the challenge just like you did when you overcame the fear of riding your bicycle without the training wheels. Don’t let a less-than-perfect translation defeat you. Pick yourself up, dust yourself off, and try, try again. You can do it! It might not be easy, but it will be rewarding. As you see the translation percentage on your screen getting better and better, you will be saying to yourself, yes, I knew I could do it! I think this affects us all in individual ways. Some are afraid of making an error; others get nervous when they know their work is on display and they have to be kept on their toes at all times; some might feel intimidated walking into a medmal or a pharmaceutical case and are hoping the words come out right. Whatever the case may be, I have learned that fear can be a good thing. I watched a TED talk once about stress and how you can make it your friend, and that put realtime into a whole new perspective for me. Instead of seeing stress as this horrible anxiety taking over your writing, you have to be the one to conquer your stress and fear and turn it into adrenaline. As an adrenaline junkie, I can tell you that I absolutely love everything about realtime. I love the way I get a little nervous, I love the way it keeps me sharp throughout the day, and I love that my writing is even better because I am editing on the fly, trying to make my transcript as flawless as possible for less editing time later. Grab a hold of your fear and don’t let it conquer you. Sometimes you have to fake it till you make it and simply believe in yourself and know that you are competent and capable of doing a stellar job. In order to provide excellent realtime, you need to couple control of your fear with preparation. As good as you may be, you will be even better if you are well-prepared. Try to get a list of anything and everything that will be used during the deposition — names, esoteric terms, countries, etc. You won’t always have this luxury, but in most cases, if you are providing realtime, attorneys will be willing to inform you of the content and spellings of words that might come up. before instead of waiting until the day of. If you can make your caption page and even appearance page beforehand and a list of J-defines ready to go, you can spend your time before the depo making sure your connections are properly hooked up and less time inputting all of this time-consuming information before being bombarded with business cards. 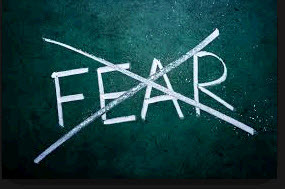 If the fear is ever completely gone, then you’re probably being unrealistic about what you’re providing. Everyone runs into issues that are overwhelming. You lower your fear when you train to address those issues competently with the best effect that you can provide. Then that fear channels into energy to solve the problems that crop up. Write realtime for yourself first, and practice on the methods that produce the best results on your screen. Mastery of your software and writing methods will reduce your fear. Talk to other reporters who provide realtime. Expect mistakes to happen. Don’t discount them when they happen, and work to remedy and overcome them, but they will happen. And once you’re providing realtime, constantly work to better yourself with your knowledge, your skills, and your technical know-how, and always with the knowledge that what your clients are seeing is better than what they’d have if you were not there. After more than 30 years of reporting, I still have that uncontrollable fear of providing realtime. I get that sick feeling in the pit of my stomach before each job — even though I set up the night before, have my job dictionary built, my EZ Speakers defined, input case-specific terminology, and have Googled industry terms on the case. Fear is normal for everyone. Even the best of the best in our profession, I’m sure, experience that tug of fear every now and then. We must not let fear hold us back, though. Court reporters need to embrace the future of court reporting and move ahead — the future is realtime. • My writing isn’t good enough. • I don’t want anyone to see. • I don’t know where to start. • The realtime feed is not perfect. • I don’t know how to handle overlapping voices. • I worry about how to control the environment. 1. I do my realtime testing and job dictionary building the night before in order to be ready for the next day’s job. A detailed prep session will relieve the perceived stress. 2. I control my breathing. It has a calming effect on the whole body. 3. I don’t overthink my realtime sessions. Fear and anxiety thrive when I imagine the worst. I go in the deposition setting with the confidence that I will do the best job I can. I’ve already prepared and done the testing — I know I’ve got this! The benefits of realtiming for your clients and yourself are many. Overcoming your fear of anything will give you the focus to achieve great things and to do what you really want to do. It takes much effort to strive to become realtime-proficient, but the rewards are worth it! Additional materials from TRAIN for developing realtime skills can be found at NCRA.org/Realtime.